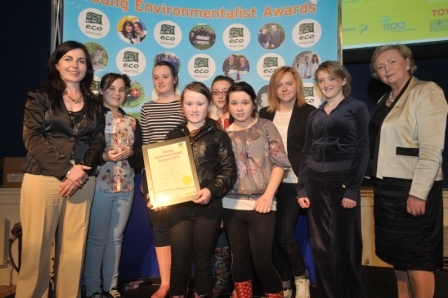 The Young Environmentalist Awards is run by Eco UNESCO and is a national competition open to all primary and secondary schools. Rosary College students have gotten through the regional finals on a number of occasions and have represented their school on a national level in the Mansion House. In the past Rosary College won the Biodiversity category in this competition. This involved students making bird feeders, a bug hotel, a bumble bee nest and they made a recycled garden mosaic. This Year we have high hopes again with our Recycled Garden art and garden clean up.